Halfway through today's run, I glanced at my Garmin and saw that I had covered two miles in about 17 minutes. That would have put me on track for my best training run in memory. I was puzzled because my perceived effort was nowhere near what I'd expect for that pace. I tried to rationalize the reasons for such a dramatic improvement in my performance compared to yesterday. It was 10 degrees cooler and cloudy, but could that account for running over a minute per mile faster? When I got home and saw my time and mileage on the Garmin, I thought I'd rocked it. Maybe I was turning a corner with my training. After all, I used to regularly average 8:45 paces on my daily runs. Breaking 9:00 minutes on a run these days is a notable achievement for me. I hoped it was accurate and not some weird Garmin fail. Despite that wishful thinking, it did turn out to be a badly confused GPS. For some odd reason, the Garmin put my starting point 3 miles north of where I began my run. 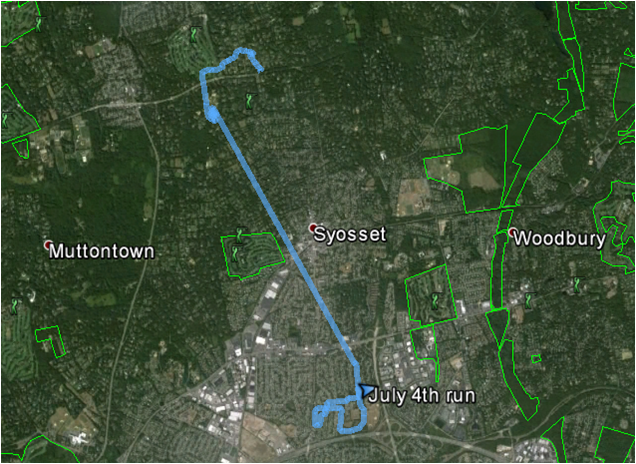 Looking at the run data through Garmin Connect, my course appeared to have frequent 50-foot elevation changes. That's definitely not the case for my relatively flat route. I'm guessing that the low cloud cover may have interfered with the GPS signal and caused it to skip. I Gmapped my route and was disappointed to see that I'd only covered 3.75 miles, rather than the 4.35 that the Garmin said I'd run. I wanted to run 4-5 miles today and thought I'd met my objective. 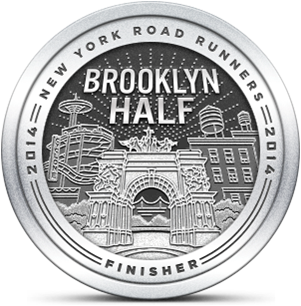 The good news is that I beat yesterday's pace by 42 second per mile. The other good news is that it's a long weekend and tomorrow we're hosting a Runsketeer pool party. If the weather reports are accurate, the skies will be clear and I'll be able to get in a longer run in the morning. ooOH! 42 seconds is awesome. You'll run further tomorrow, no doubt. I'll see you later in the afternoon! I'll take any positives I can from today's workout : ) Looking forward to see you tomorrow!